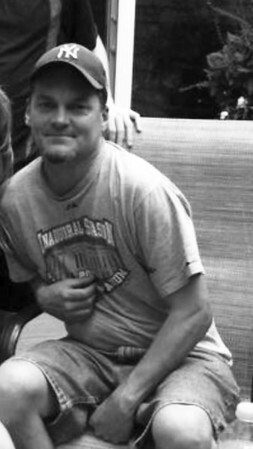 Mr. Gregory Alan Beck, 46, passed away on Sunday, Aug. 26, at the Bristol Hospital after a short and courageous battle with aggressive metastatic cancer. Gregory was born Jan. 5, 1972, in Bristol, son of Theresa R. (Schmidt) Beck of Terryville and William L. Beck of Ohio. Raised in Terryville, Gregory attended local schools and was a graduate of Terryville High School, class of 1990. He was a member of the IBEW Local 35 in Hartford and had worked as an electrician for 25 years. He will be remembered as an avid Yankee and Giants fan and enjoyed watching NASCAR. In addition to his parents, he is survived by one son, Kyle M. Beck of Terryville; three daughters, Laura E. Beck of Terryville, Katarina M. Beck of Bristol and Kasey M. Beck of Bristol; one sister, Amy K. Burgos and her husband, Shawn, of Terryville; his special friend, Kim, of Bristol; and several aunts, uncles and cousins. In lieu of flowers donations may be made in Gregory’s name to the St. Jude Children’s Research Hospital P.O. Box 1800, Dept. 142, Memphis, TN 38148-0142 or online at www.stjude.org . Posted in The Bristol Press, on Tuesday, 28 August 2018 20:08. Updated: Tuesday, 28 August 2018 20:10.